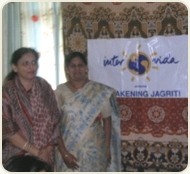 Intervida started Jagriti – a special school for children with cerebral palsy in the year 2000. It offers educational opportunities to these individuals by adapting and modifying the curriculum to suit the potential of the child. The Rehabilitation Council of India’s recommendation of a multi-disciplinary team approach is implemented. 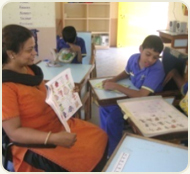 The team consists of Physiotherapist, Speech therapist, Occupational therapist, and Special educator under one roof. Cerebral Palsy is a non progressive motor disorder of movements & muscle co-ordination and posture due to damage to child’s brain in pre-natal (before birth), natal (during birth), or post-natal (after birth) stages or early childhood. The challenge presented by disability in India is enormous and so much has yet to be done that it can be difficult to get a clear perspective. Certainly, progress has been made. 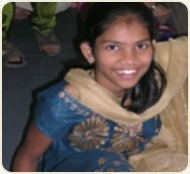 In 1947, India had a total of 32 schools for the blind, 30 for the deaf and 3 for people with mental retardation. There are now around 2,500 special schools. However, the vast majority of disabled children have no access to special education. While figures are hard to obtain, some estimates can be made. National Survey Sample Organization found that: 5% of our population of 102 crores is with disabilities. (Physical: 2% and Mental: 3%), Estimated 5 million persons are disabled and Incidence of Disability more in weaker/poorer sections of society/rural areas. 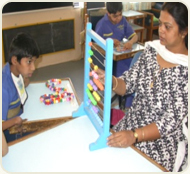 According to the survey conducted in Pune, there are about 42 special schools. The numbers of schools in the city are not enough to cater to children with cerebral palsy. Institutes are also lacking in Professional and Material expertise These facilities are very expensive. Of these 42 schools only 13 offer specialized service to children who fall into the 'educable' group. Enrolling of severe and profoundly affected children is not seen. Of these 13 schools 5 schools are exclusively for children affected with CP but do not offer facilities of therapy and education under one roof. 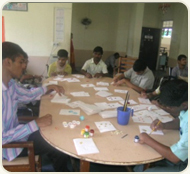 Institutes offering vocational training or sheltered workshops are few. To provide all facilities for a holistic development under one roof through multimodal interventions. This Trans disciplinary approach ensures successful rehabilitation Our goal of integrating individuals affected by Cerebral Palsy into the mainstream society can be achieved by. 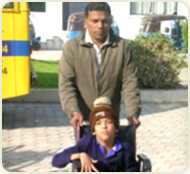 Thereby catering to educational and therapeutic needs of children with cerebral palsy. Providing an accessible setting and interventions designed to help learners with Cerebral Palsy The centre has permission to admit 100 students between 4 and 18 years. The child is in school till he / she reaches the age of 18years. The school does not discriminate on the grounds of the severity of the handicap. 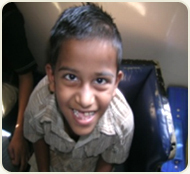 All children receive the specialized services as per their individual needs. It outlines the student's goals, and the teaching strategies, resources, monitoring, support, and the evaluation needed to enable the student to meet those goals. Special education is geared to tackle children who have learning problems that are primarily the result of visual, auditory, tactile and emotional disturbances. Design strategies for each child’s educational needs. Teach Cognitive, Sensory and Social Skills. Provide vocational, recreational and employment opportunities. 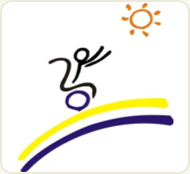 The physiotherapist works in the area of physical development in the form of exercises to facilitate normal development patterns, correction of muscle tone and posture and improve mobility. They prescribe and train the children in the use of aids and appliances needed for positioning and mobility. They provide pre /post operative care and therapy. The occupational therapist works in the area of activities of daily living, which includes positioning, transfer, grooming, toileting,breaking of abnormal patterns of development, sensory integration and development of fine and gross motor manipulative skills. 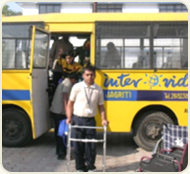 They provide external aids to facilitate daily living skills. The speech therapist works in the area of development of speech, language and communication skills. They work in developing vegetative skills of chewing and swallowing, and correct eating and drinking patterns. They develop different modes of communication aided or unaided; alternate or augmentative communication, tailored to meet the child's communication and educational needs. 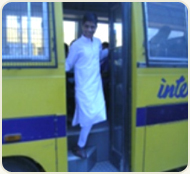 Provisions of transport facility for easy and convenient accessibility .The buses are modified to meet the physical needs of the children. 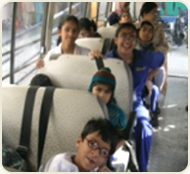 The buses travel all over the city since the public transport system does not cater to the disabled population thereby making school inaccessible with attendants trained to handle any emergencies. are held with the parents/caregivers on matters related to acceptance of the disability, its limitations, associated problems and long term rehabilitation issues, adult life. 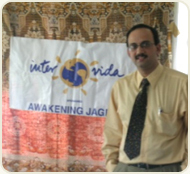 Parents can meet the respective teacher or the therapists as per need. General Meetings are held at the beginning of the academic year, mid term and end of term. This is to ensure that the parents follow the rules and regulations of the school. 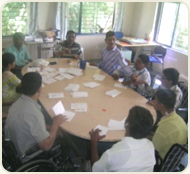 Organizing Parent Workshops annually to update them regarding the new developments in the area of Cerebral Palsy. Workshops are held for the parents on topics related to cerebral palsy and its associated lifelong repercussions for aiding the Family to understand issues related to CP. Professionals from the relevant fields are invited to deliver lectures, which is followed by an interactive session. 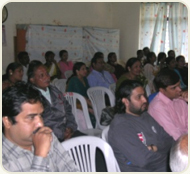 The topics for the workshop usually come from the parents themselves. Evaluation - Done periodically. 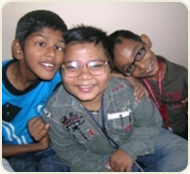 Twice a year formally and informally as per the requirement of the child’s program. Helps the Special Educators and the Therapists in setting further goals and reviewing past goals. Documentation - Log books wherein the professionals write a daily log which describes the activity / goals that are set for each day. It also states whether the child has progressed or regressed. The teaching strategies, time table, remarks and observation along with periodic evaluation of the intervention program is also mentioned in the log books. Other documents – Assessments, Case History & Home visit forms, IEPs, Report cards, OPD reports, Training reports & reports of meetings, Parents’ visits and any other activity are maintained up to date. Staff training - Professionals are sent for training to upgrade their knowledge on a regular basis by attending seminars and conferences. 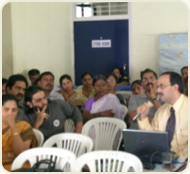 The experienced staffs deliver lectures at seminars and training colleges. Attending workshops, conference and courses - This helps to update the staff with the latest in the field of rehabilitation and networking with other similar institutes. 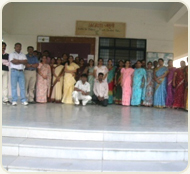 They come back and conduct in-house training for other staff members. Some staff from the institute are registered master trainers; they get invited to conduct courses for staff of other institutes. Developmental services are designed to meet the developmental needs of an infant or toddler with a disability in the areas of physical, cognitive, communication, social/emotional or adaptive development. Early intervention services include, family training, counseling and home visits, special instruction, speech and language therapy, occupational therapy, physical therapy, psychological services, service coordination, medical services for diagnostic and evaluation purposes, social work services, assistive technology devices and services. High-risk neonates diagnosed with developmental delays requiring early intervention are serviced by the Rehab specialists . A sensory integration and neuro development techniques are implemented to facilitate normal developmental patterns. 4 Students completed their secondary school education. 1 Student studying at the under graduate level. 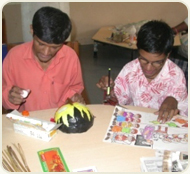 Set-Up a Sheltered Workshop for training Cerebral Palsy Adult in Vocational Skills. Current Strength 14 adults.